Starting a web-based business is great because of the flexibility and the minimal investment typically required to make it happen. In order to be successful, however, you will have to do a lot of preliminary planning. The sad truth is that nine out of 10 startup ideas will fail. The ones that succeed usually do through market analysis. They develop the right product/service and they put a lot of effort in consistently. All of the work you do before your online business gets established will have a determining role. A breakthrough, original idea will be difficult to come by but it’s not an absolute essential. Rather, you need a field that you know a lot about and a tailored concept that will appeal to the respective market segment. 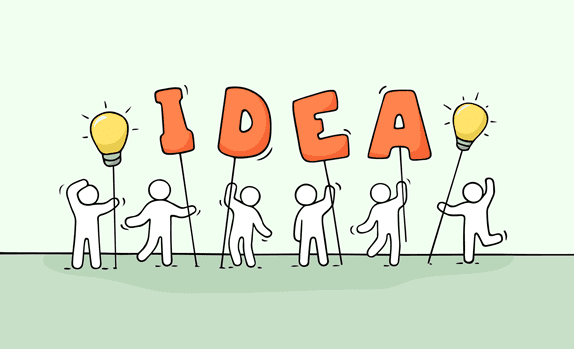 If you are looking for a bit of startup inspiration, the following ideas may come in handy. Websites like Udemy are changing the rules of the game when it comes to the creation of courses and charging people for your academic materials. They simplify the process and your first payment is simply a matter of building a quality course and doing some marketing. While such platforms do charge academic work creators, they offer an excellent choice for newbies in the field of digital business. Whether you build a course about essay writing or effective marketing in the digital world, you can make some money. For the purpose, however, you will need to do a bit of research about the courses that are already out there and how yours could offer the respective audience something different. If you’re providing information that’s already out there, the business model is not going to be sustainable in the long run. Book publishing has been revolutionized through the opportunities that platforms like Amazon’s Kindle Direct Publishing (KDP) provide. To start writing ebooks, you will simply have to invest in a computer, internet connection and some quality images for the purpose of building a noticeable cover. As of October 2017, the global book market has been valued at 143 billion dollars! This is huge and you can certainly get your share of the pie. The publishing market in the US alone is valued at 24.99 billion dollars. This online startup idea is best for journalists, copywriters and other professionals who already have some experience in the field of quality text creation. Doing a bit of research once again will be essential to get a better idea about the needs of the audience and the topics that can eventually prove to be most profitable in the long run. While YouTube has now made it more difficult to monetize a channel, it’s still possible to use this opportunity. YouTube content creators get a revenue share whenever ads are displayed and viewed on their content. Building a successful channel that sustains a startup is not easy. After all, there are numerous YouTube giants that have monopolized an array of fields. If you have extensive and deep knowledge in a certain area, however, you can still make it happen. Understand the fact that to be profitable, you need to have hundreds of thousands of views. Once you get to millions of views, you can certainly consider yourself one of the big players. Such an accomplishment, however, will require putting out quality content on a daily basis until you build your fan base. Specialized monthly boxes focused on a certain theme (craft beers, natural makeup, luxury fashion items, handcrafted jewelry and accessories, etc.) are incredibly hip and trendy right now. If you have a great idea, you can quickly establish a list of loyal customers that will help your startup grow. Anything from nutritional supplements to gourmet foods and even biking equipment can be put in a monthly subscription box. Choose a theme that you’re passionate about and that you can have deliveries on every single month. The terms and conditions of the delivery partnership will also be important to ensure the survival of the business in the long run. So many businesses are outsourcing processes because of the cost-efficiency and the reliability of working with small service providers. People who are knowledgeable in certain areas can quickly establish a startup offering services to clients from all parts of the world. Are you a graphic designer? Do you have experience in the field of search engine optimization (SEO)? Do you think you can work as a virtual assistant (VA)? Or maybe a translator? A website developer? A project manager? Dozens of platforms make it easy for freelancers to connect with potential clients and pitch their offers. While the competition is huge and many freelancers from third world countries bring down the cost of execution, it is still possible to build a successful service provision agency that will eventually grow. These are just a few of the options you can try out to start an online business. Determine what you want to do, how much you can invest in the idea and what the future development of your company looks like. Think about the startup in the long-run and don’t limit yourself to immediate profitability. If you do the work and you commit yourself to the realization of the idea in the years to come, chances are that you will soon see a significant return on investment. Laura Buckler uses her previous career in social media marketing to write with authority about content writing, digital marketing and social media. She takes an in-depth, hands-on approach to deliver engaging, informative texts. Follow her on Twitter.